Professor Dinstein is a former President of Tel Aviv University (1991-1999), as well as former Rector (1980-1985) and former Dean of the Faculty of Law (1978-1980). He served twice (1999/2000 and 2002/2003 as the Charles H. Stockton Professor of International Law at the US Naval War College in Newport, Rhode Island. He was also a Humboldt Fellow at the Max Planck Institute of International Law in Heidelberg, Germany (2000/2001); a Meltzer Visiting Professor of Law at New York University (1985/1987); and a Visiting Professor of Law at the University of Toronto (1976/1977). Professor Dinstein has given guest lectures in dozens of leading universities all over the world, and delivered a series of lectures at the Hague Academy of International Law (2006). Professor Dinstein is a Member of the Institut de Droit International. He is the Founder and Editor of the Israel Yearbook on Human Rights (47 volumes of which have been issued—in English—since 1971). 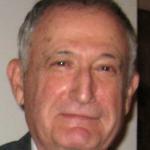 His other publications include a six-volume treatise (in Hebrew) on international law. His latest books in English are War, Aggression and Self-Defence (6th ed. 2017); The Conduct of Hostilities under the Law of International Armed Conflict (3rd ed. 2016); Non-International Armed Conflicts in International Law (2014); and The International Law of Belligerent Occupation (2009); all four published by Cambridge University Press. In 2012 Oxford University Press reprinted his first book on The Defence of ‘Obedience to Superior Orders’ in International Law . Yoram Dinstein, War, Aggression and Self-Defence (6th ed. 2017).